Bluetooth Locking technology for extra safety! Travelling for business or leisure Claymore has a solution for you. If you want to travel light and don't want the hassle of checking in your luggage, choose from Claymore's large assortment of cabin luggage accepted by most airlines. If you want to stay for a couple of days or want to extend your business trip Claymore's middle size luggage is easy to check in and ideal for bus and car trips. For the serious traveler who is heading off on round trip or a long stay from home, Claymore recommends the large size luggage. When this is still not enough for you the expander can provide you up to 25% extra capacity when needed. 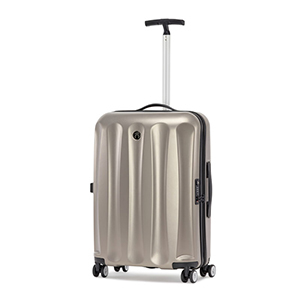 To guarantee you a comfortable and worry-free travel all Claymore trolleys come with a TSA lock, this means you can always lock your luggage, customs can open your trolley with a special key for inspection. Discover our latest collections and designs. Check our technical features that meet the modern traveller's needs. 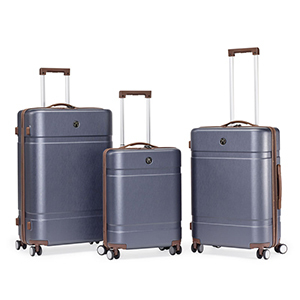 The cabin trolleys have a height between 50-55 cm and are accepted as cabin luggage by most airlines. 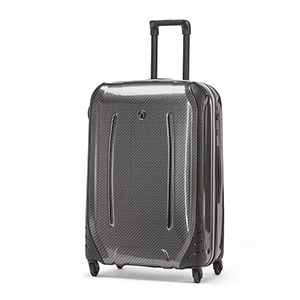 If you want to travel light choose from Claymore's assortment of cabin suitcases. Middle size trolleys have a height between 61-68 cm and easy to check in. This size trolley is ideal for bus and car trips. An expander system provides you up to 25% extra capacity when needed. Large size trolleys have a height between 71-77 cm and a capacity up to 125 liters. The tough pc shells will protect your belongings while travelling. Discover features that will ease packing your suitcase. Our sets contain 3 trolleys, cabin trolley, middle size trolley and a large size trolley that can be stored one into another to save space and always have a suitable size on hand. Discover the available colors and designs. Claymore offers on most cabin trolleys an USB port for charging your mobile devices! An easily accessible zip pocket inside will protect your powerbank. When charging your device a led light will show untill fully charged. USB, Easy, Smart. Open your suitcase with your smart phone! Claymore offers this optional lock which will replace your TSA combination lock, the APP can be downloaded free of charge. Most Claymore trolleys come with a double layer zipper. It uses two layers of teeth to prevent someone penetrating the zip and gaining access to your belongings. In combination wiht the TSA lock you have a strong, superior defence against forced-entry. Discover Claymore's unique patented personalized luggage. 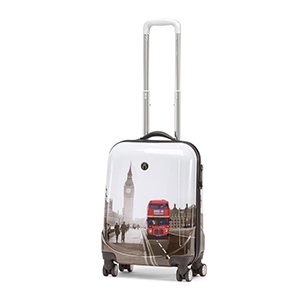 Select your product, upload your picture and within 48 hours you will receive your personalized luggage.